Welcome To Monkey & The Bug, The Blog! Welcome to the blog behind the store. My name is Tina Burgos and here you will get a sneak peek into my life as the mother of twin girls, Gemma and Riley, co-owner of Boston based retail shop Stel’s, and co-owner of the children’s boutique Monkey & The Bug. While on ten weeks of hospitalized bed rest I scoured the internet for clothing, accessories, and decor that had the same sensibilities of my own personal aesthetic. I wanted cool and clean, but with a touch of whimsy. Finding a large void I, alongside my mother Lou, launched Monkey & The Bug. Our goal was to create a place filled with little ones’ attire of the highest quality with attention to detail, where playful meets sophisticated. I also aim to find home goods for the younger set that will easily transition into the rest of a home with pieces that are special and unique. We want to encourage parents to approach their children’s wardrobe and interior decor the same as they would their own, with the belief that as a parent the design choices we make should be an extension of our lifestyles. I am a proud mother of two little ladies. My daughters influence everything I do. Riley, born 15 minutes earlier than her sister, is the go getter, she is quiet and has an old soul. She loves to snuggle and is very content playing quietly on her own. Gemma is extremely independent, vivacious, outgoing and is game for almost anything. They were born on October 18, 2008 and my life has never been the same. Having twins is certainly double the work but more importantly double the fun, double the excitement, and double the love. So with all these balls in the air why add another one to juggle in? It seems impossible to really put into words WHY we do some things. Why we start certain projects or why we are attracted to something. Words would not do inspiration justice. This blog is a testament to that. Here is where my inspirations will be shared. This is a place to showcase the “tickle my fancy” and “love at first sight” because life is not just pictures but it is imagery and scenery. My world can not be described in just words, it is stories and tall tales. The goal is to portray the inner workings of the WHY. Why was M&TB started? WHY did I choose this piece or that for our shop? 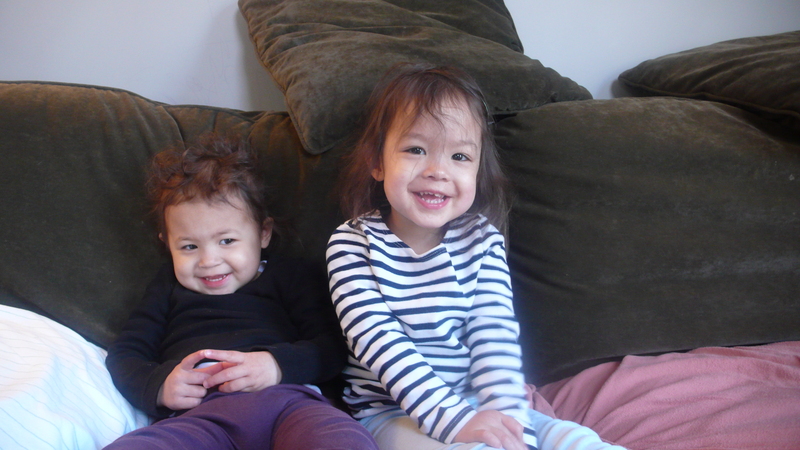 How do I run a business and parent two beautiful little girls? How do I balance it all? Instead of telling you, I would rather show you.